Fans of The Witcher were elated when it was announced that a TV series starring Geralt of Rivia was in the works. For those not in the know, Geralt is the protagonist of CD Projekt Red’s Witcher video games, which have become something of a sensation in the last couple of years. This upcoming TV series, though, won’t be based on CD Projekt’s role-playing video games. Rather it will draw from the novels of Polish author Andrzej Sapkowski, who is also involved in the project as a consultant. “I’m thrilled that Netflix will be doing an adaptation of my stories, staying true to the source material and the themes that I have spent over 30 years writing. I’m excited about our efforts together, as well as the team assembled to shepherd these characters to life”, said Sapkowski of the upcoming TV series. The series is in production for Netflix, and we don’t know yet when it will air or how many episodes we can expect to see in a first season. Also, Platige Image has been given the task of turning Sapkowski’s fantasy world into a live action TV series. 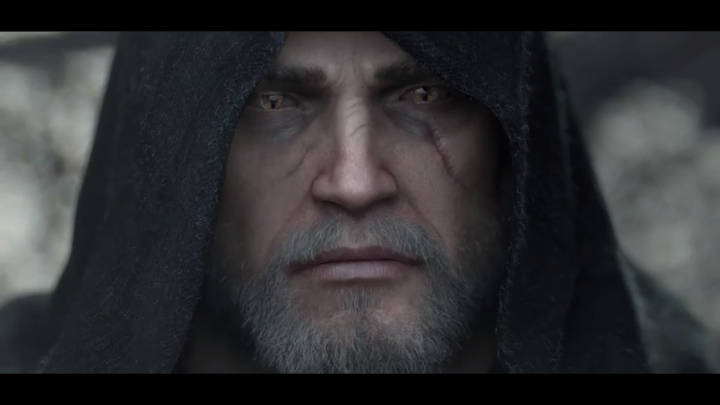 And you may have seen Platige’s work before if you ever played The Witcher video games, as the company was responsible for a rather stunning trailer for The Witcher 3: Wild Hunt video game back in 2015. Of course, given how popular the video games have been, it’s clear that interest is sky-high for this upcoming TV series. But to me, it certainly looks like this won’t be the next Game of Thrones, and might even disappoint fans of the video games too. For starters, book author Sapkowski never titled any of his novels “The Witcher”. Actually, it’s Polish game company CD Projekt which holds the Witcher trademark. This means that an upcoming TV series might have to use a different title, which is something that believe it or not may draw a hefty chunk of its potential audience away. After all, it’s likely that the series producers are counting on the millions who played The Witcher games to tune in to their upcoming TV series, but without calling this “The Witcher” or a variant of it some will less likely be drawn to it. Because it’s clear that Sapkowski’s books were never really popular outside of Poland until game makers CD Projekt Red took his novels and turned them into the massively popular role-playing video game series we know today. Also, most players are used to the in-game portrayals of characters like Geralt, Ciri, Triss and the rest. But given the new TV series will be based on Sapkowski’s books and not the games, these characters are bound to look very different. So the TV series will have to find an audience amongst people who never played the Witcher games, and that’s surely an even harder proposition. Aside from the fact that Sapkowski’s novels are little known outside of his native Poland, there’s also the fact that an adult-themed, mature fantasy series like this one will be going toe to toe with the world-conquering Game of Thrones. And it’s unlikely a Witcher TV series will be able to offer the same great political intrigue, great performances and superbly-realised fantasy world as HBO’s hit series. Plus development company Platige will sure need plenty of resources to bring the Witcher’s fantasy universe to life, as Sapkowski’s novels feature tons of mythological creatures, so I see plenty of difficult CGI work on the horizon for the series’ producers. But who nows, maybe the fantasy novels starring witcher Geralt can be successfully turned into a TV series, and this could become the next TV hit for those looking for adult fantasy in the vein of Game of Thrones… It’s a tall order though, and Netflix sure is taking a gamble here. Although here’s hoping we do have plenty of good things to say when the Witcher hits TV screens worldwide sometime in the future.